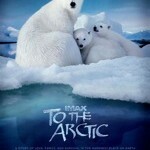 An extraordinary journey to the top of the world, "To The Arctic 3D" is the ultimate tale of survival. 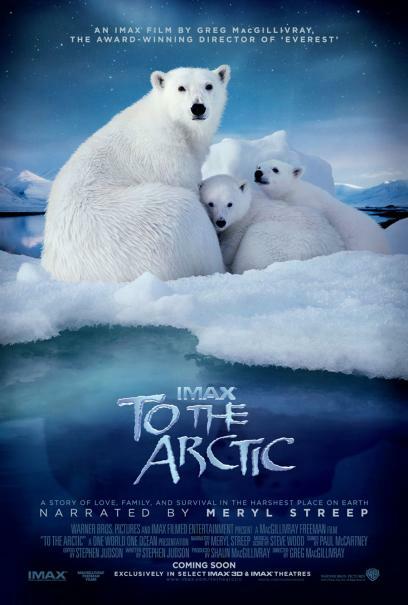 The film takes audiences on a never-before-experienced journey into the lives of a mother polar bear and her two seven-month-old cubs as they navigate the changing Arctic wilderness they call home. Captivating, adventurous, and intimate footage brings moviegoers up close and personal with this family's struggle to survive in a frigid environment of melting ice, immense glaciers, spectacular waterfalls, and majestic snow-bound peaks. 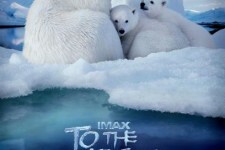 "To The Arctic" was filmed entirely in 15/70mm with spectacular shots designed to take full advantage of the IMAX 3D format.